New York: Barely days ago, Donald Trump thought he was rid of the men who helped launch the Robert Mueller-led investigation into Russian meddling in the 2016 elections; he didn’t realise there’s a third man of his own choice who could prove to be far more dangerous: William Barr. Trump’s own pick for the post of US attorney general and a long-time friend of Mueller’s vowed today in a US Senate grilling that he “will not be bullied” by his political masters in the White House. If the Trump White House was looking for an Attorney General who could make life difficult for Mueller, they dialed the wrong number, it seems. 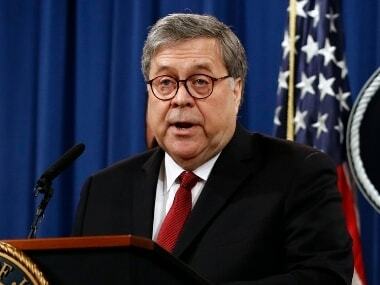 "I would resign if President Trump tried to shut down legitimate investigations", Barr said, in one of many bombshell quotes from his hours long confirmation hearing. If Barr is as good as his word, Mueller will not be fired. Mueller is obligated to file some sort of report when he wraps up his investigations. We don’t know what form it will take and whether it will redacted or not but that becomes the next big story now because it’s not a singular probe but a phalanx of 17 probes, some of them in co-ordination with New York prosecutors. 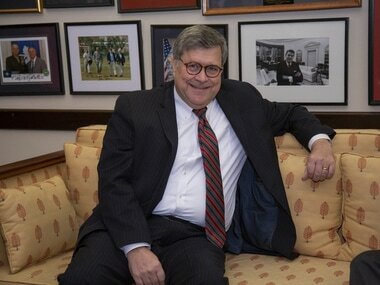 Comments by William Barr at his Senate confirmation hearing Tuesday pointedly departed from Trump's own views and underscored Barr's efforts to reassure Democrats that he will not be a loyalist to a president who has appeared to demand it from law enforcement. Given that Barr has said all this today, it’s going to be harder for the Trump White House to contain any potential damage from the outing of the final Mueller report. Trump’s rapidly expanding legal team is definitely going to cite executive privilege so that the report is not made public and it falls upon the Attorney General to decide whethere there is “good cause” for such a request to be considered at all. For many hours today, Barr repeated his stand on the Mueller investigation to US Senators: “Absolutely, I want him to finish his job”, he said. 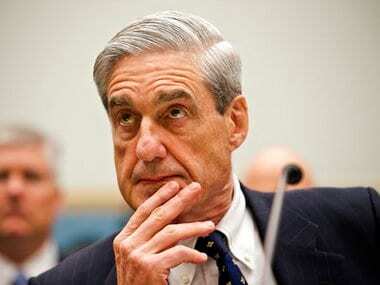 He also asserted independence from the White House, saying he believed that Russia had tried to interfere in the 2016 presidential election, that the special counsel investigation shadowing Trump is not a “witch hunt” and that his predecessor Jeff Sessions was right to recuse himself from the probe. From the first day of hearings, it’s not clear if Mueller's final report will be made public. Barr has the final say on what is made public, and he suggested that in the event prosecution is declined, those findings may not be made public. What is clear, though, is that the Barr who may become US Attorney General is not exactly the Barr the White House pushed for. So, the only question here staring down at Washington in big, bold letters is this: Why would Trump want Barr as his Attorney General, a man who made it clear today that Mueller is not just his good friend but also that Mueller will finish the job he started? 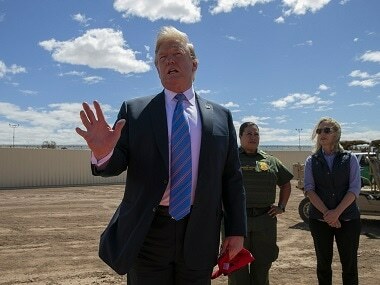 Was Trump misled by a 19 page memo that Barr wrote some weeks ago, where he suggested that Mueller’s obstruction of justice investigations against the US president may be a grave injustice? In that memo, Barr criticized as "fatally misconceived" the theory of obstruction that Mueller appeared to be pursuing. 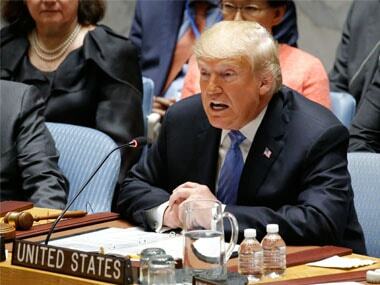 He said presidents cannot be criminally investigated for actions they are permitted to take under the Constitution, such as firing officials who work for them, just because of a subjective determination that they may have had a corrupt state of mind. Barr said the memo was narrowly focused on a single theory of obstruction that media reports suggested Mueller might be considering. It's entirely possible that Trump's lawyers read it all wrong. Maybe they thought Barr will be on their team, their growing legal peril made them lurch for a quick and dirty solution what they got is a Mueller friend from three decades ago. Back to the question: So, how did the Trump White House settle on Barr? Trump is known to like one-pagers, Barr's memo was 19 pages long, maybe only the first page got read.